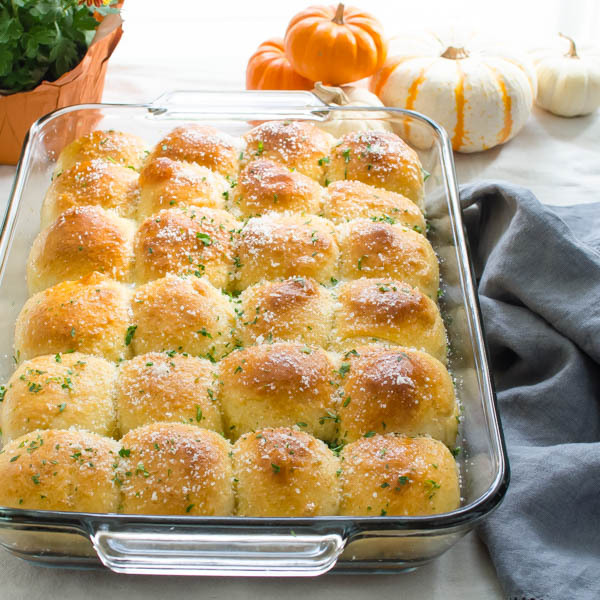 Turkey, stuffing and gravy aside — the one thing REQUIRED at Thanksgiving is rolls. Some type of soft, yeasty bread with an absorbing crumb — how else are you gonna sop up the gravy? 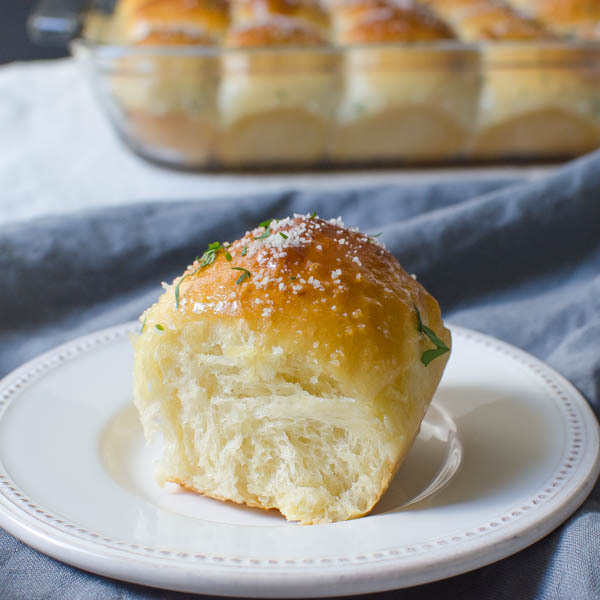 These Soft Parmesan Dinner Rolls deliver! 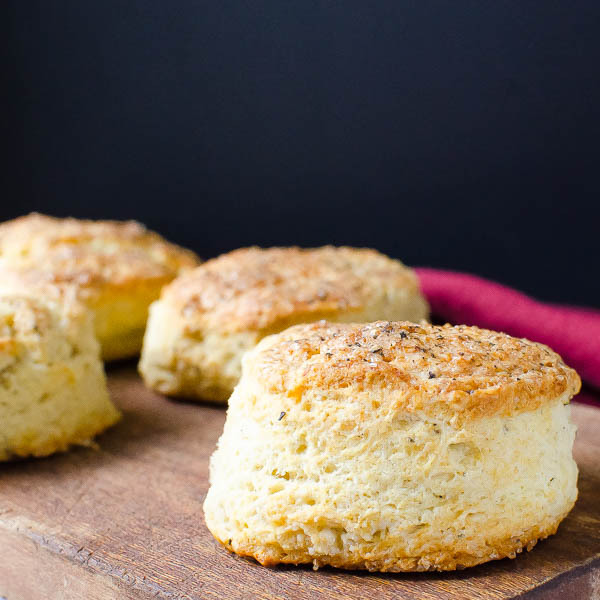 They are flavorful and dependable — and coming off of my last encounter with dough, you know that when I say dependable, I mean it. The only tricky part is making sure the water is at the proper temperature before adding the yeast. Too cold and it won’t become active. Too hot and you’ll kill it. I used an instant read thermometer to make sure I had it just right. Fill a one cup glass measuring cup with water and put it in the microwave for about 2 minutes, until it’s very hot. Then put the covered dough into the microwave WITH the cup of hot water. Do not turn on the microwave. Just let it rest and rise. Portion out the dough into roughly similar sized nuggets and roll them into balls. Place them in a prepared pan (not touching) and let them rise and proof one more time. Brush the rolls with egg wash to give them a shiny skin. 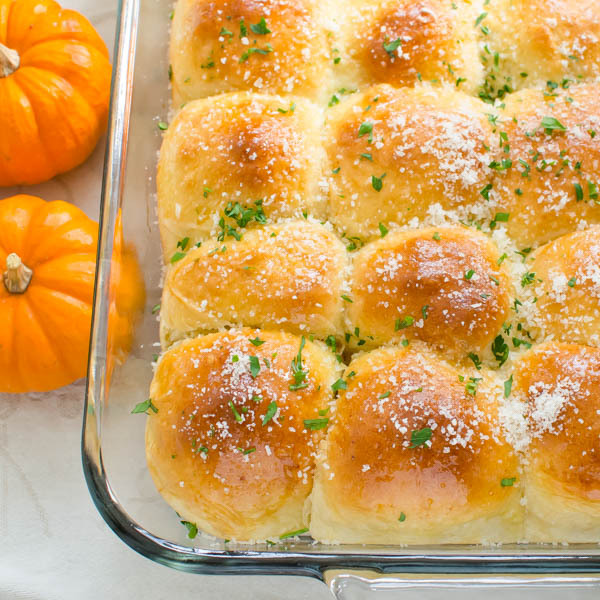 A brush of melted butter and sprinkle of extra parmesan cheese is all you need to finish them off. I sprinkled with chopped parsley — more of an aesthetic effect — food just looks better with a garnish. You can skip it if you want. 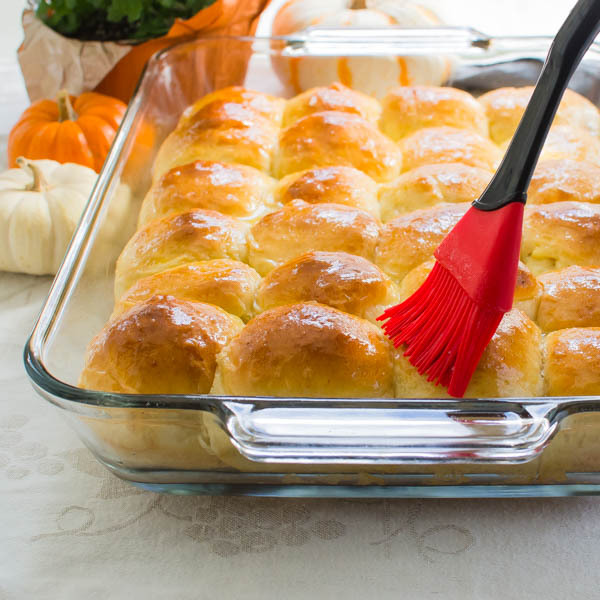 A soft yeast roll that's perfect for the holidays and serves a crowd. In a small bowl, lightly beat 2 of the eggs with a fork and set aside. In the bowl attachment of a stand mixer combine the milk and yeast (Make sure the milk is between 100° and 105° -- too hot and it will kill the yeast - and the rolls won't rise). 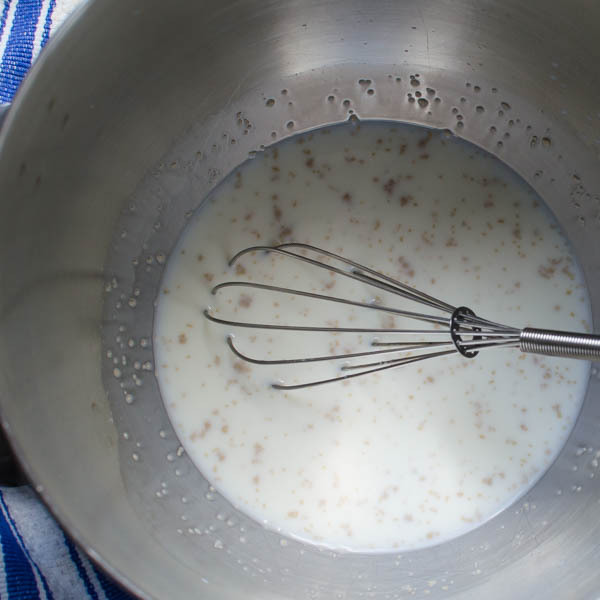 Use a conventional whisk to whisk together the yeast and the milk. Add the sugar, salt, beaten eggs, butter, and 1 cup of the bread flour and the parmesan cheese. Whisk together to combine. 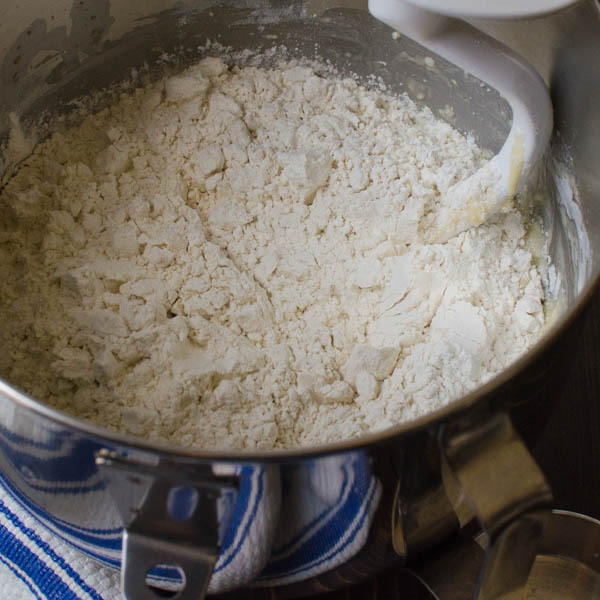 Add the remaining 3 1/2 cups of bread flour and place the mixing bowl in the stand mixer. 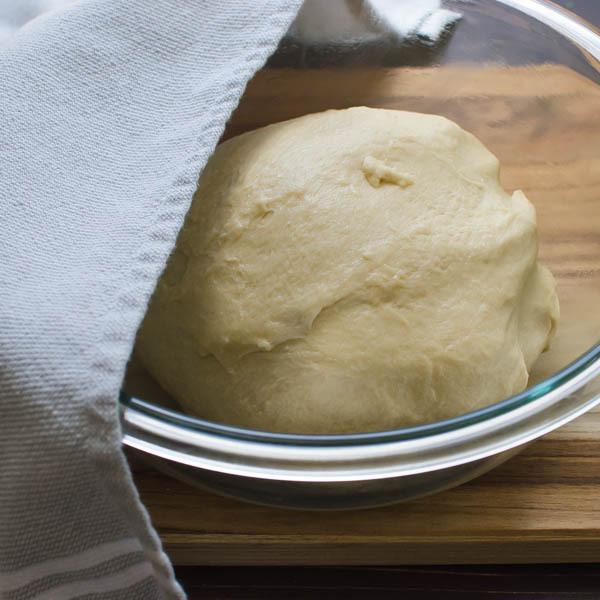 Attach the dough hook and knead the flour into the yeast mixture on medium speed for 6-7 minutes or until dough is soft and elastic. Lightly oil a large mixing bowl with canola oil and set the dough in the center, turning once or twice to get a light sheen of oil on the dough. 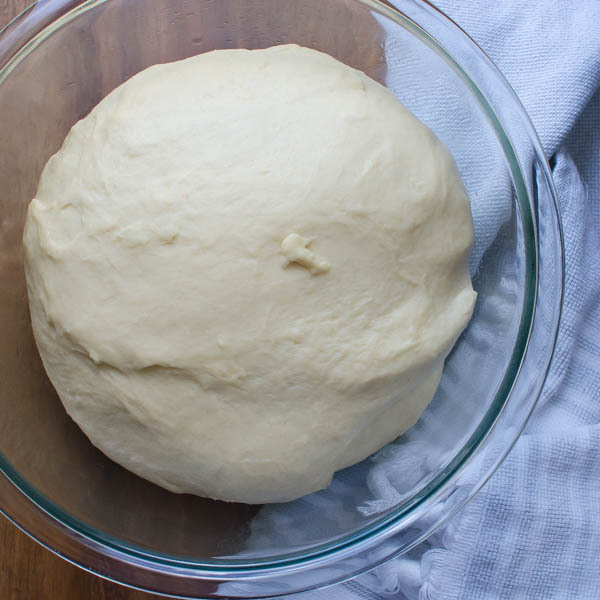 Cover the dough with a tea towel and set it in a cold oven to proof for one hour, or until doubled in size. Spray vegetable spray in a large rectangular pan (I used my lasagna pan 11" x 15") or use two smaller pans. Divide the dough into quarters. Divide each quarter into sixths and roll each into a ball. Place in the pan so that the dough balls do not touch. 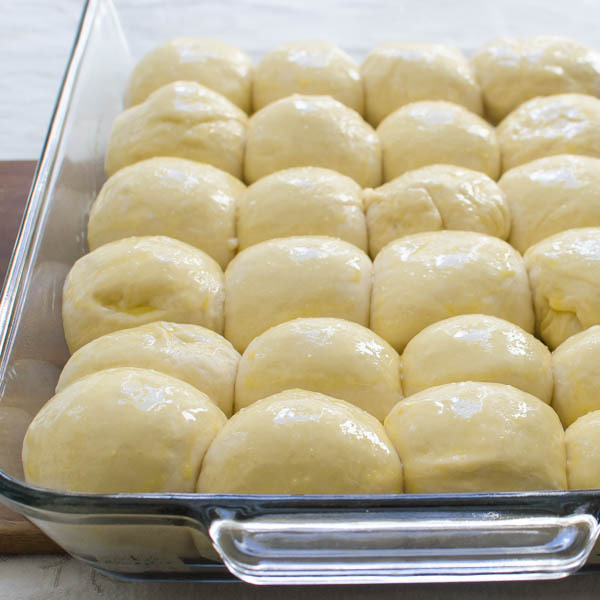 Lay a piece of wax paper over the rolls and set in a cold oven to rise for another hour. 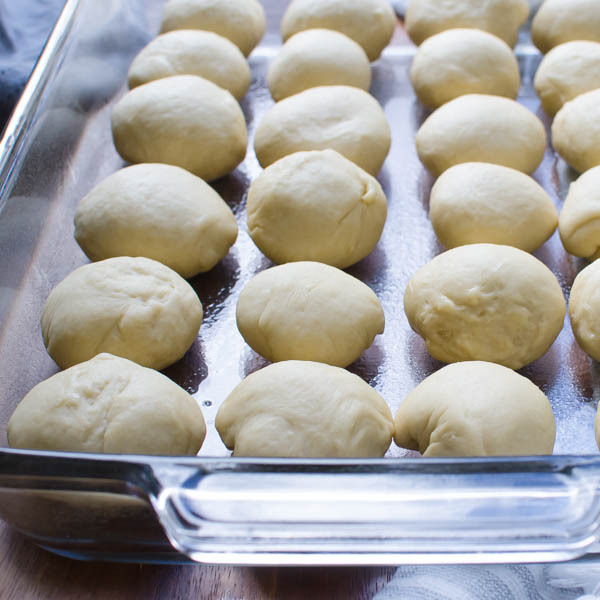 When the dough has doubled in volume, remove it from the oven and preheat the oven to 375°. Lightly beat the remaining egg and brush it over the rolls. The egg wash gives the rolls a sheen. When the oven is hot, bake the rolls for 20 minutes. 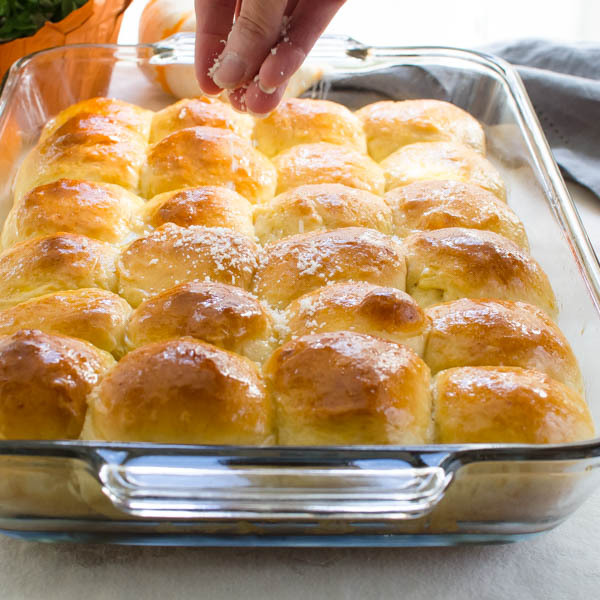 Remove the rolls from the oven and brush with melted butter. Sprinkle with parmesan cheese and parsley. Serve. I infused the butter with garlic for a little extra taste, and it was amazing! Great recipe! That sounds incredible, Haniya! Wish I’d been there! I wanted to come back and rate these. I’ve had such issues with roll recipes I almost gave up on finding one for my go-to rolls. Well, THIS is it. These were amazingly delicious, and best of all, the texture was perfect. I’ve made them twice in the past few weeks. They freeze well too! Thanks for posting! 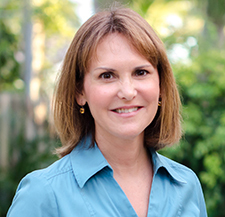 Hi Holly!, Thanks so much for sharing! I’m glad you enjoy these rolls, they always seem to be a crowd pleaser with our crew, too! Thanks for this wonderful recipe. Very easy to make. It was nice and soft buns. Family loved it. Will be making it again tomorrow ? 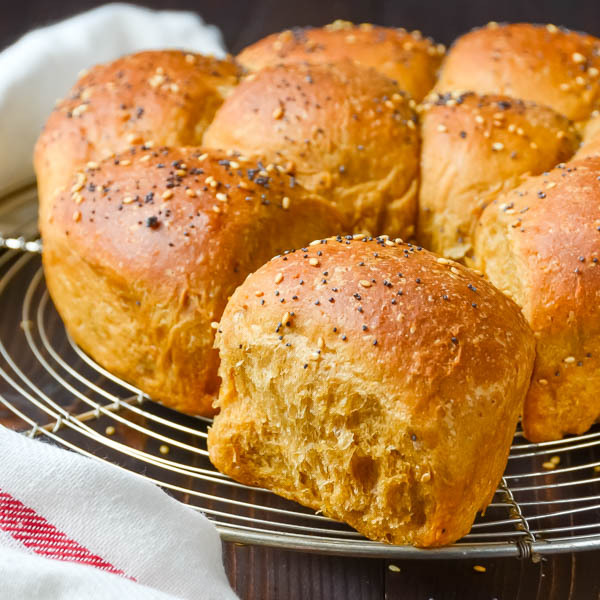 I’m so glad you and the family enjoyed them… Homemade rolls are the best! There’s about 2 1/4 teaspoons or 9 grams in a standard package of yeast. Hope that helps. I used 2 packets for similar type rolls plus much warmer water 120-130- Fleishman recommends it on their site. Those worked out better because dough rose much quicker and rolls were fluffier. I will be using that if I make these again. I made my dough into breadsticks and the flavor was very good. I think I may have used a different yeast than you did — but kudos for checking. There are so many brands out there, it’s good to know what you’re working with. Glad the bread sticks turned out for you! 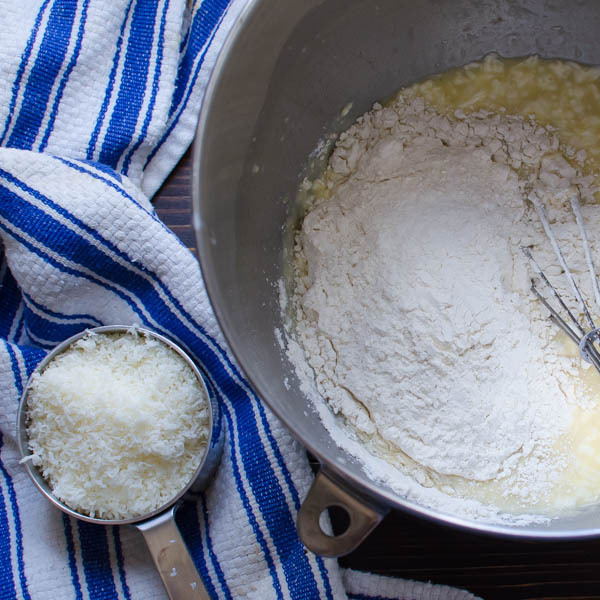 Can i use all purpose flour instead of bread flour? Yes, you get a slightly higher rise with bread flour, but not so much that you’ll see a huge difference! I so heartily agree with you! 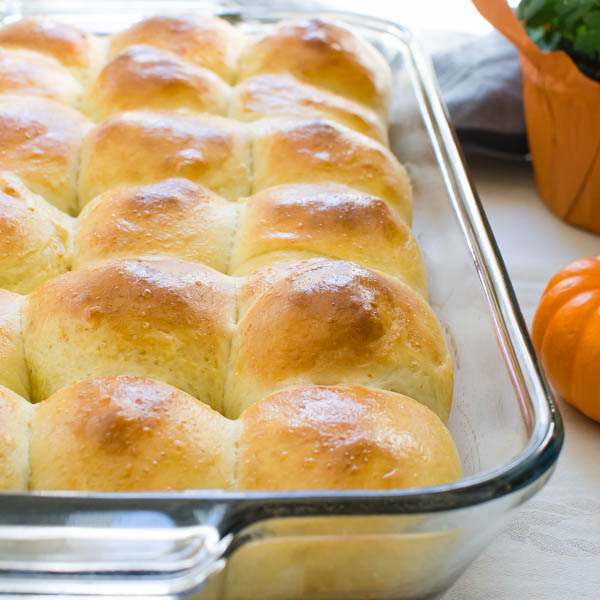 Rolls are required at Thanksgiving. Funnily enough, my niece and I are the only ones that want the rolls at Thanksgiving. Don’t get me wrong, they all eat it, but Liz and I, we scoff them down. I look forward to surprising her with your rolls this year!!! 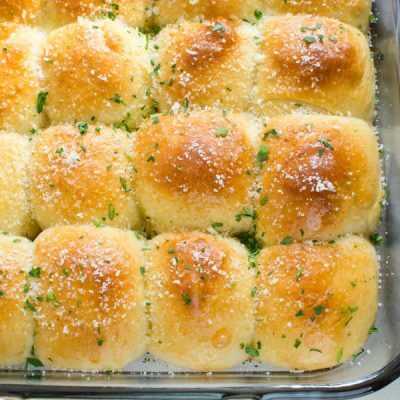 These rolls look amazing! I can only begin to image how good they taste. Love the step by step photos. I’m ALWAYS paranoid that I’ve killed the yeast when making bread! Use the instant read — it takes away the guess work. 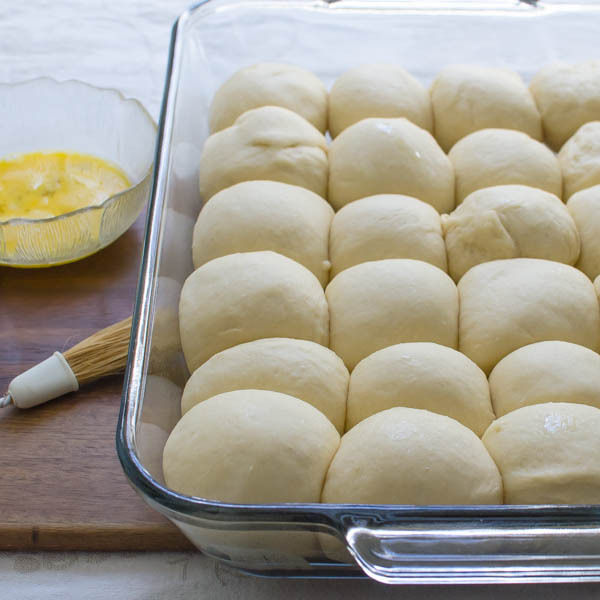 I have never tried to make my own dinner rolls before. Your process looks very easy. I am pinning this to try later, thanks for sharing! They are easy! Try it!